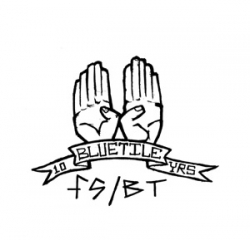 7"+DVD+Book to celebrate Bluetile Skateshop's 10th birthday! -(x1) 4-way split 7� (featuring Those Lavender Whales, the Choir Quit, Can�t Kids, and Teen Suicide). each one is hand stamped and hand numbered.